Monday, March 18 • 7 p.m.
Wednesay, March 20 • 7 p.m. 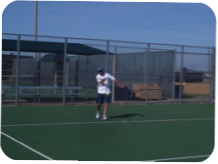 The Midlothian Tennis Association hosts leagues and lessons throughout the year during Spring, Summer and Fall seasons. The Spring season typically begins in March with Fall play starting in September. Seasons run 8 weeks. 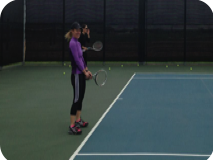 Adult beginner lessons are held for six weeks during the league season for players up to a 2.0 USTA rating. The men's and ladies leagues are a great place for intermediate and advanced players to enjoy singles and doubles play in a fun, friendly environment. Do not feel obligated to be there every week - the league understands that everyone has family and work commitments. The MTA now has a ladies 3.0+ USTA league. We are always looking for players for singles and doubles. Matches are held in Midlothian and the Fort Worth area on Saturdays. Summer season begins in late May and you can join at anytime. If you are interested in playing, please email us here. Play one night or both!